Now you can be using these Cat Eye Sunglasses when the sun is out. 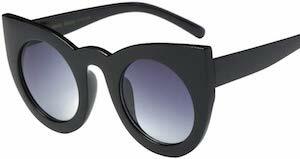 These women’s sunglasses have like an aviator style frame only there is more as on top of the frame it has some shapes that look a bit like ears or make it look like you have cat eyes. You can get these gold colored frames with different colored lenses and they do black UV A and UV B rays to protect your eyes from the sun while looking really nice on your face. This St Patrick’s Day you can look cool all thanks to these Shamrock Sunglasses. The cool shades have a white frame that is covered in green shamrocks and everyone knows that means an Irish party. 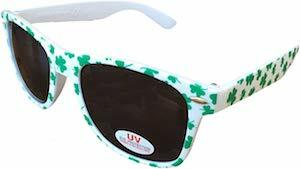 You can get these St Patrick’s Day sunglasses in many sizes so that both kids and adults can wear them. And the lenses of these sunglasses have UV protection too so that they do work like normal sunglasses and that means that you can wear these shades the whole year long not just on St Patrick’s Day. 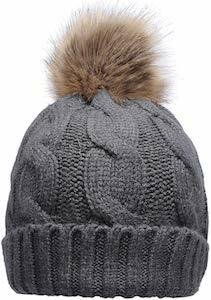 When winter is here you want your head to be warm and it can be all thanks to this Knit Beanie Hat With Faux Fur Pompom. This fun winter hat is available in 34 colors (just click the image to see them all) so that you can get the perfect color you like. The winter hat has fun knit pattern and on the top of the beanie it shows a pompom but not just one made from yarn, this pom pom is made from faux fur which really look different and fun. Now there is a fun looking 3 Front Zipper Shoulder Bag. This handbag is available in 7 different colors so that you can get the bag that fits best with your outfits and yes you can even choose to get more then one in different colors. The handbag has 3 front zippers but that are not just all the pockets this shoulder bag has as there are pockets on the side and back too and inside you can organize your stuff too. And yes this is a pretty big bag that can hold many of your stuff and you can see how much room it has by clicking on the picture. If you like cats and need to be in the sun then you want to check out these cat eyes sunglasses. The sunglasses have like fun shapes almost like they have ears and the frames come in many colors including just see through and even black and white and animal prints and the lenses come in different colors too. 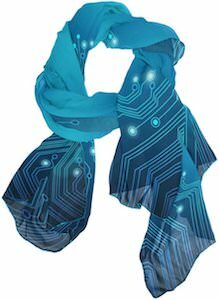 Eye wear like this is just way more fun then most sunglasses and I am sure that they will look great on your face. If you like cats or not these glasses are something you want to check out as it comes in so many different options. 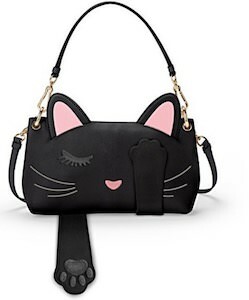 If you like cats and want an adorable handbag then you want to check out this faux leather cat handbag. 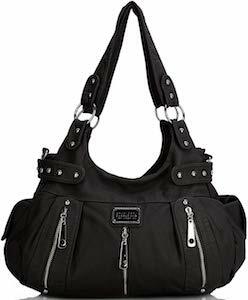 The bag has removable straps to make it versatile and so that you can wear it as a crossbody bag. The cat bag is made from faux leather and looks like a cat face complete with pink ears and nose. And the bag is funny as the cat has paws and they connect with velcro to the eyes from the black cat and that makes it look like it is playing peek a boo. So now you can show the world that you are a crazy cat lady by using his amazing handbag as your everyday bag. If you want some amazing looking shades for the summer then you should check out these oversized square sunglasses. 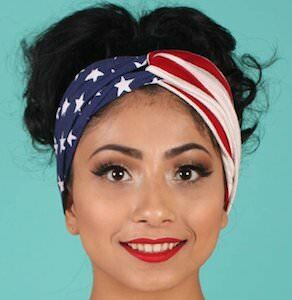 The sunglasses are available in a wide range of colors (click on the picture to see them all) so if you like black, blue, pink, brown, purple, gray, or a different color then that is a possibility. The square sunglasses come with a nice case so that they keep protected when not in use and they are UV400 so they give you the sun protection you need. Sure these glasses are different but that makes them so perfect for you so come check them out.